As any Volvo driver will tell you, these cars are bold, confident, and luxurious vehicles with a progressive design. But they’re not just easy on the eyes. They also offer a wonderfully smooth and safe ride, making Volvos a choice companion for any family. At Joe Davis AutoSport in Perkasie, PA, we know that your car can be like a member of the family. That’s exactly why we treat your vehicle – and you – like one of our own. We’ve formed an equally strong bond with top-of-the-line parts suppliers, which means we can deliver service that’s both industry leading and fast. Our ASE Certified Technicians are enthusiastic and customer-friendly, giving you a welcome alternative to pricey dealerships. 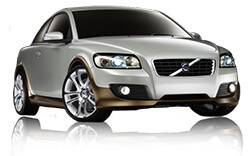 We also offer a 24 month/24,000 mile warranty on all Volvo repair. Perkasie area drivers know to turn to us for all of their automotive needs! While we use our state-of-the-art diagnostic tools to find and fix any issues with your Volvo, you can rest easy knowing we’ll get you wherever you need to go with our free shuttle service. We also provide loaner cars when needed and our comfy waiting room is equipped with free Wifi, so you can stay connected.